Ships tomorrow if you order in the next 22 hours 44 minutes. 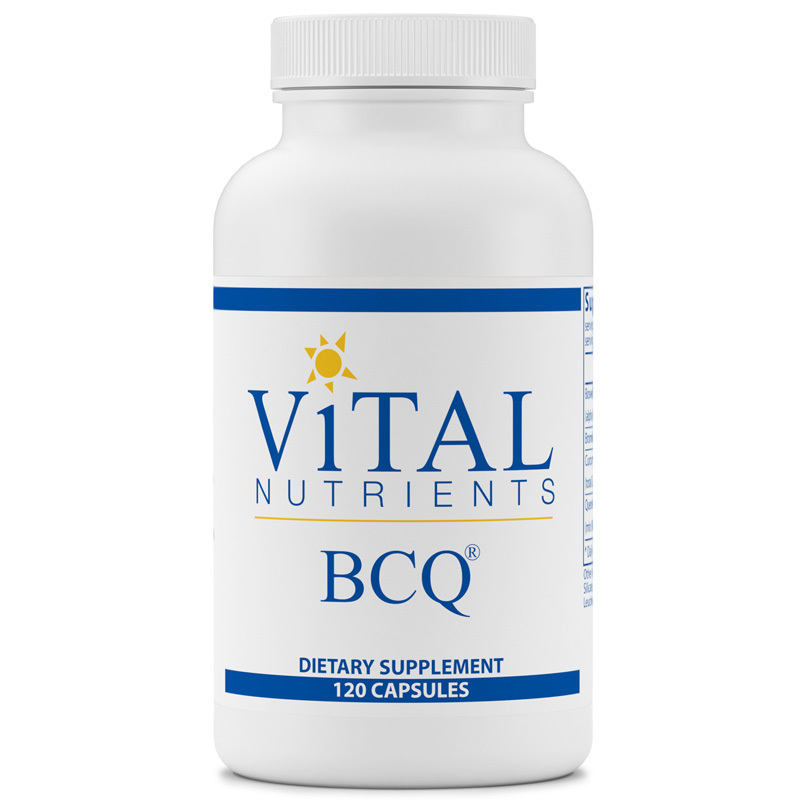 BCQ by Vital Nutrients is an herbal supplement with a powerful combination that provides enhanced support for maintaining a healthy internal response to reduce minor bodily discomfort. 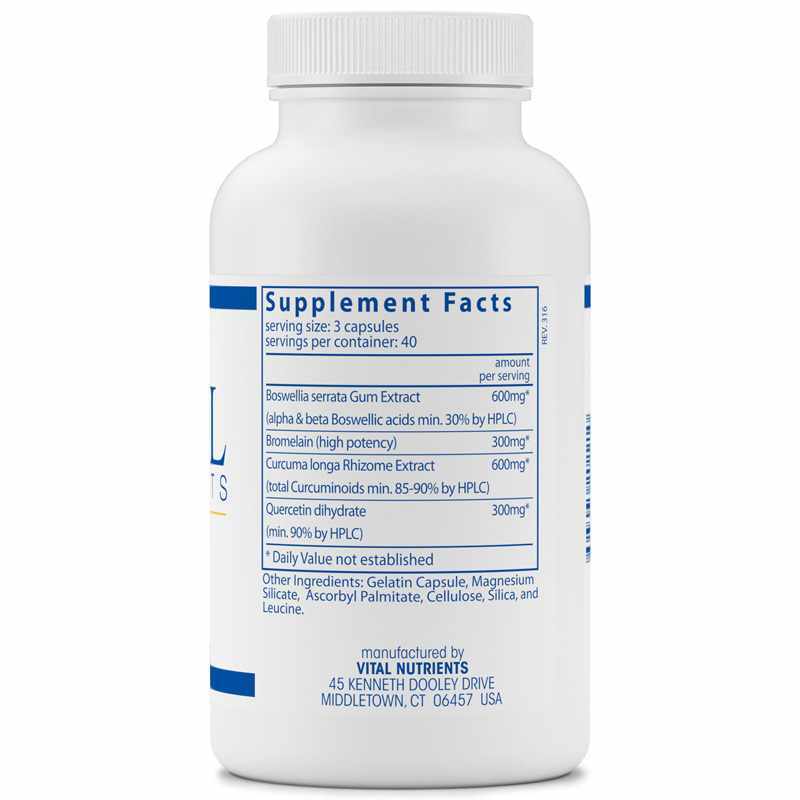 The specific herbs in this product are also known to support gastrointestinal function and connective tissue. The herbal components are powerful antioxidants and reduce substance P levels in the body. Other Ingredients: gelatin capsule, magnesium silicate, ascorbyl palmitate, cellulose, silica, leucine. Contains NO: coatings, binders, yeast, wheat, gluten, milk/dairy, corn protein, soy protein, eggs, sugar, hydrogenated oil, artificial colorings, artificial flavorings or preservatives. 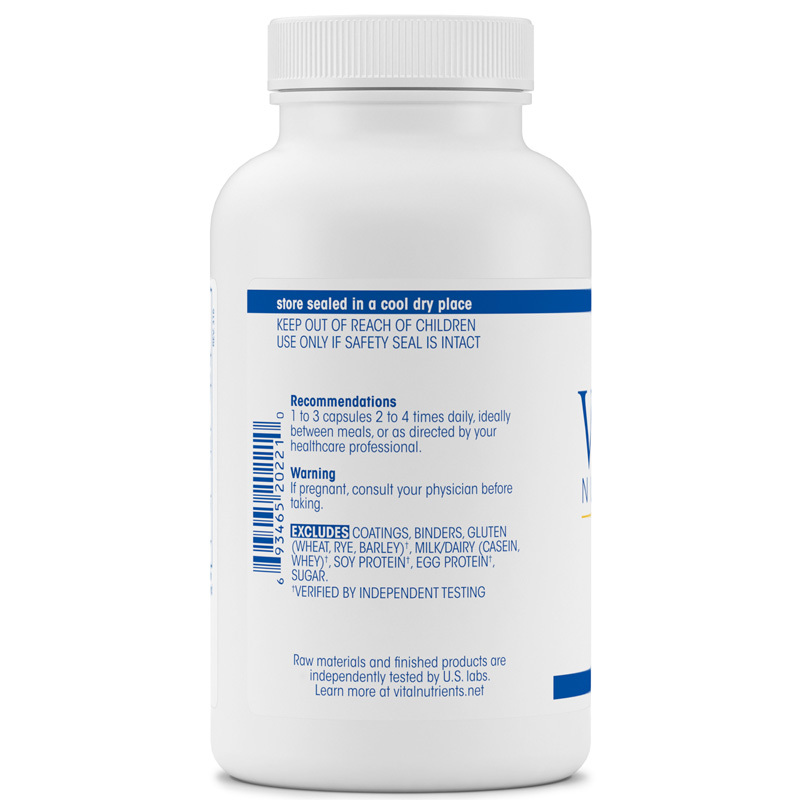 Adults: Take 1 to 3 capsules 2 to 4 times daily, ideally between meals, or as recommended by a healthcare professional. I purchased BCQ - Vital Nutrient brand specifically, on the advise of my herbalist. Vital Nutrients being the only brand she trusted, and BCQ being the supplements she said I needed. After 3 months, my doctor was amazed at how well I was doing. I have been using Natural Healthy Concepts for about 4 years. I love the no shipping! The delivery time is awesome. There personal is very nice and professional. I will continue to use them. This product is "great" for pain. This supplement is very helpful in keeping me free of back pain and acheing. It allows me to sleep and to continue working.<br>I have Spinal Stenosis and Scoleosis.